﻿Why use a reverse osmosis water system for filtered drinking water? 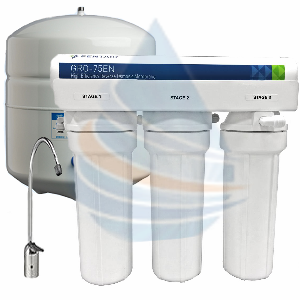 - Filter Total Dissolved Solids (TDS), Sodium (salt), and more. Total Dissolved Solids (TDS) TDS is the sum of the mineral salts in water and if too high can result in objectionable taste, cloudy ice, interference with the flavor of foods and beverages and scale left behind in cookware. Generally speaking, the lower the TDS the more acceptable the drinking water. TDS of 500 ppm or more is typically considered high. Reverse Osmosis (RO) process has proven itself as the most practical and cost effective method of correcting problems caused by high TDS. High TDS content in water will exhibit a salty or brackish taste. Our reverse osmosis systems also include carbon prefilters for chlorine, bad tastes, chemical odors, and organic chemical filtration. The number one concern for home owners thinking about having a drinking water RO filter in their home is how much water they're going to waste. Most drinking water RO systems can waste a scary 4-7 gallons for every gallon made, but not our Water Saver Drinking Water RO Purification Series! 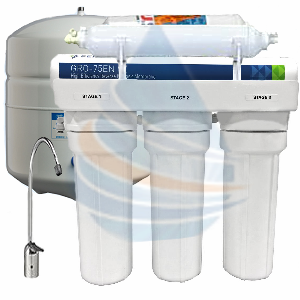 These compact state-of-the-art reverse osmosis drinking water filters provide superior water quality, eliminating the cost and inconvenience of bottled water, while saving up to 4 times the water of conventional drinking water RO systems. Standard under-the-counter RO drinking water filters will drain up to 4-7 gallons of water for every gallon of purified water made, but the new Pentair GRO Membranes are specially designed to save water and provide an incredible 1:1 product to waste ratio. Put that on top of our specially designed undersink system and you've got the ultimate solution for clean drinking water! For the health-conscious consumer, we've added a revolutionary post alkaline treatment to raise pH, lower ORP, and provide the ultimate quality of mineral drinking water. (1) Free Replacement Filter Package: Package includes filter wrench, instructions, 1-Sediment Filter and 3-Carbon Filters.